Middle School parents should have received an email from Grade Level Coordinators this week with the details of their student(s) upcoming trip or in-city experience. If you did not receive an email, please check your "junk" or "spam" folder. If it is not there, please contact the school to receive the information. Most foods in the kitchen are labeled with dietary and allergen information. If you have a question about an ingredient or what’s in a dish, please ask any of the chefs in the kitchen. Students with severe food allergies and/or intolerances should see Chef Kris on the days when an alternate meal is necessary. We are decreasing our use of disposable dishes and are implementing a “blue plate special” for students that need a to-go meal during lunch. All dishes (plates, cups, utensils) must be returned to the kitchen by 3:30 pm every day. Note: To-go meals can only be requested by students who are meeting with a teacher or taking a test during lunch. In all other circumstances, students should eat in the dining room. The dining room is open for lunch daily from 11:15 am-1:30 pm. Students should come to their assigned lunch period. If a student is free for both lunch periods, please choose one or the other to attend. Beverage machines, salad bar, fruit, and the WB&J station are off limits outside of lunch. Announcing First Outdoor Program Trip of Year! The Outdoor Program invites you on Camping 101, our first trip of the year. Come camp along the shores of the Puget Sound and learn or review essential camping skills, such as cooking, tent set up, and packing your backpack. This trip will prepare you for future Outdoor Program trips and connect you with our outdoor interested students and trip leaders. We will spend time exploring the plant and animal life of the Puget Sound inlet, take a short hike, and play frisbee and other field games. Information about signing up for this trip will be in an email to all parents on Monday, Sept. 10. For any questions, please contact Sophie Daudon. All coffees will be held from 8:10-9:30 am, in the Dining Hall (please enter via Pike Street).The first 10 and last 10 minutes of each coffee will be informal time to socialize and transition to the next part of your day. We encourage you to bring your own cup as well! If you would like to connect with the counseling office in another way, please feel free to reach out directly to Megan or Erin. 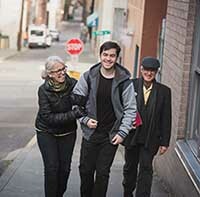 Last year, a handful of Northwest faculty participated in a scrumptious workplace winter community-supported agriculture (CSA) program, offered by Amy Frye and Jacob Slosberg '06 of Boldly Grown Farm in Skagit Valley. This program provides an opportunity to receive a regular supply of high quality, locally grown, certified organic veggies through the winter months, available for pick-up at The Northwest School. Boldly Grown and Northwest are excited to open up this CSA program to our families this year! Boldly Grown's CSA runs every other week from late October through March. The Northwest School drop-off/pick-up is on Wednesday afternoons, 2:00-8:00 pm, in the greenhouse on West Court. You can view the full program details and registration info here. Choose the NWS drop site on the registration form. Space is limited, so sign up ASAP! Email Jenny Cooper, director of environmental education and sustainability, with any questions. 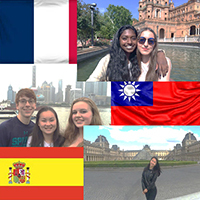 On Sept. 20, at 6:30 pm, in the Commons, we will have a presentation for the families of 10th grade students interested in studying abroad during the Parent/Guardian Night. Tutors from University Tutoring will facilitate this introduction to the PSAT. Eleventh grade students interested in attending the prep session should pre-register in Naviance by Monday, September 17.